- For the Sports Fan, Sit back and relax while having access to a complete TV sports Package. LOCATION: This home is located steps from the beach. DETAILS: If you enjoy the finer things in life then you are sure to fall in love with this 4 bedroom luxury condo in Blue Mountain Beach. 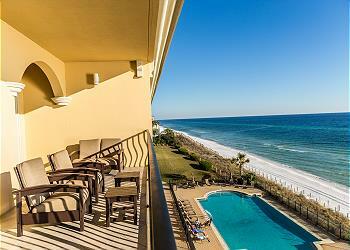 Situated Gulf front, this unit has spectacular Gulf and beach views from the balcony, living areas and master suite. As you walk in the front door you are greeted with the guest bedrooms along the hallway. The kitchen, dining area and living room are all open and offer a great space to entertain while you enjoy views of the dazzling, emerald waters and white sandy beaches. Both the Living Room and Master Bedroom have updated drapes and shutters. The master suite features access to the balcony and has plenty of space for your belongings in the spacious walk-in closet. Endless days in the sun await you whether you choose to head down to the beach via Adagio’s private beach access, splash around in the Gulf front, infinity edge pool or relax by the three-tiered pool in the center of the complex. This adagio unit comes with two parking spaces. OTHER AMENITIES INCLUDE: Private balcony, two community pools. This property comes with 2 dedicated parking spots. Additional parking can be found throughout the community. Complete Clean Linen Participant - ALL linens, including comforters laundered upon every checkout. We apologize that your stay was less than perfect and we will be sure to share your valuable feedback with our entire team. In regards to the issues with the dishwasher and the dryer, we would have been more than happy to send a maintenance technician to address any and all issues. We are glad to see that you enjoyed the view of the condo and we agree it is hard to beat. We loved the photo you shared with us. We hope you can join us at the beach again soon! We loved Unit B405. It was likely the most beautiful stay at the beach we’ve ever experienced. The condo is clean and spacious and gorgeous. 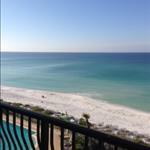 To be able to look at the view of the beach and the gulf every day was breathtaking and exactly what we needed. The weather was also perfect. We will be returning. We are so thrilled to hear that you enjoyed your stay with us and this unit so much! The views of our white sand beaches really are stunning from this unit! Thank you so much for choosing 360 Blue for your beach vacation. We look forward to helping you plan your next stay with us! We loved Unit B-405 and are already talking about our next trip! My husband and I stayed there in October with our daughter and parents and it was plenty spacious. I didn't even know about the small bunk room. That was a nice surprise, although not needed this stay. The unit was even better than we expected based on the pictures online if that's even possible! The unit was exceptionally clean and well maintained. The view is truly gorgeous! Unfortunately, the pools were too cold to enjoy. Heating in October might be nice. If you are with elderly parents or people that have trouble with stairs there are about 50 or so down to the beach, which we knew in advance. I also recommend looking into renting umbrellas/chairs. People that don't are out very early getting their spaces. Overall, we had a fantastic stay! What a gorgeous photo! 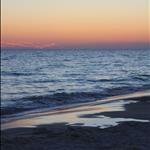 You really captured the beautiful colors of our 30A sunsets! We are thrilled to hear you enjoyed your stay with us at Adagio! The views really are breath taking from this unit! Thank you so much for choosing 360 Blue and for taking the time to share this valuable feedback with us. Be sure to come visit with us again soon! This was our 8th year at Adagio and two years ago in a home down the beach. The last three years through 360 Blue. The 360 Blue properties were better managed with all the amenities for a great time at the beach. There are 10 of us in our family and our B405 unit was perfect. The personal touches (fresh bouquet on table) by the owner just added to the experience. Family vote says we should return next year again. Thank you for everything. We love seeing all those beautiful, happy smiling faces! 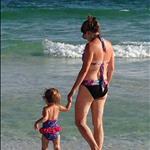 We are thrilled you and your family had such a great vacation at Adagio! We understand how important those amenities are, especially with little ones! Thank you so much for staying with 360 Blue again and we are so looking forward to having you back again next year! We had a wonderful stay, even with the rain! Our view was magnificent and we always enjoy the pools. The bonus bunk room was a surprise and will be great for future grandchildren. Management was quick to address our needs. Such a beautiful family photo! One to for sure frame! We are so happy you enjoyed your vacation, despite the rain we had. Thank you so much for staying with 360 Blue and we can't wait to have you back again soon! We had a great stay at the adagio. The grounds were beautiful and condo was amazing. The service also was fabulous. Will definitely be heading back here again. Great memories were made. What a great photo! We are so happy to hear you enjoyed your stay with us in Blue Mountain Beach! Thank you so much for choosing 360 Blue and for taking a moment to share your experience with us. We look forward to helping you plan your next stay with us! Our family of 9 had a great experience in a beautiful condo equipped with all the eminities. The ocean is beautiful. The pools are large and well maintained. Sad to say goodbye. Hope to return in the future. We are so happy to hear you enjoyed your stay with us so much! It looks like you guys got to enjoy some beautiful weather while taking advantage of the pool! Thank you so much for choosing 360 Blue for your family's beach escape. Be sure to visit us again soon! We had a great time staying at condo B405. First time staying at Adagio and we all agreed it was the best all around experience since coming to 30A area for the last 7 years. Pools and grounds were very clean. All beds were very comfortable. Cool sitting chairs in the larger bunk bedroom. We would def recommend this condo and the development. The kids missed having a larger television in the living room & the cook in the family couldn't find any spices in kitchen....other than that a perfect stay. What a great picture of the condos! Looks like you got to enjoy some beautiful weather as well! We're pleased to hear you found the property so accommodating. Unfortunately, due to health codes we are not able to provide spices in the home. Thank you so much for choosing 360 Blue for your family's beach escape. We hope to see you back at the beach again soon! This photo is absolutely precious! We are incredibly honored that you choose to stay with 360 Blue for such a special vacation. Your family will be in our thoughts. 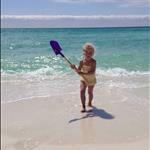 Thank you again and we hope to have you and your beautiful family back on 30A again soon! Been coming here for four years with kids. 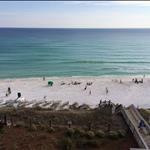 Great unit, beach, pool, and area. Never disappoints. The view never gets old! What a beautiful photo and looks like it was the perfect beach day! 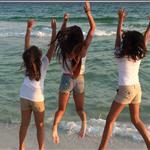 We are so happy you had yet again a great stay with your family on 30A! Thank you for staying with 360 Blue and we hope to have you back again soon! We have stayed at Adagio 6 times now bc no other place on 30A can compare, and B-405 is our absolute favorite unit! Plus we will only stay in condos managed by 360 Blue bc they are in a class all their own. This unit is just perfect! Clean, nice beds, plenty of linens, and we cooked an entire Thanksgiving meal and didn't lack for a thing in the kitchen bc it is so well equipped. The water pressure can be low, especially in the master bath shower, but I suspect this is an issue with the condo complex, not this specific unit. We can't wait to visit again soon! We had a wonderful time at your condo! The space is very spacious, beautifully decorated and very nicely maintained! 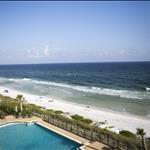 The location is perfect for watching your family at the pool or beach. Being a corner unit, the extra windows and light was a very nice bonus! We would have liked the water at the kitchen sink to be set at a hotter temperature, but that's a preference, certainly not a complaint. Thank you for welcoming us into your condo! We have stayed many places over the years but this is definitely one of our favorites! We are beyond thrilled to hear that you had such a wonderful stay. This condo is truly amazing and offers everything a family could need for the perfect beach getaway. We hope to see you all back at the beach soon! We love Adagio. This was our fourth time staying and plan on coming back in the spring. The rooms are perfect and roomy and the ice maker gets major pluses with our gang. The views from Adagio are beyond stunning! We are thrilled that you had such a wonderful stay. We look forward to seeing you in the spring! 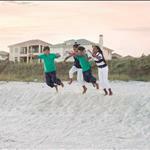 This was our 7th year at Adagio and last year in a home down the beach. The last two years through 360 Blue. The 360 Blue properties were better managed with all the amenities for a great time at the beach. There are 10 of us in our family and our B405 unit was perfect. The personal touches (fresh bouquet on table) by the owner just added to the experience. Family vote says we should return next year again. Thank you for everything. How exciting to catch a fish from the beach!! We are so happy to hear that you had such a wonderful time in this amazing condo. It really does have everything a family could need for a great beach vacation. We hope to have you back soon! Beautiful condo with all the necessities at a beautiful site. Only problem for the 9 of us, actual only the two septuagenarians, was the 50 step stairs down to and up from the beautiful beach. If we wanted to avoid the stairs the pools are beautiful as well. Had a great time. Ate well at the nearby eateries, especially the Chanticleer Eatery and Grayton Fish House in Grayton. The unit came with spots for two cars in the underground garage, a real convenience. We tried Destin one evening and Seaside another but the traffic there was worse than Chicago at rush hour, parking practically non-existent. All in all, it was a great vacation. We had a wonderful vacation at Adagio B 405. The location was perfect with 5 kids in tow to the beach each day! The view from the balcony was beautiful! The condo is showing some wear and tear especially the living room furniture. Also the carpets in bedrooms need cleaning or replaced. The kitchen was very well stocked but does need some sharp utility knives. 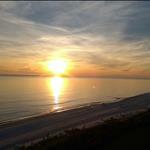 We loved Adagio and loved staying in an end unit on the gulf. We will book this unit again next summer if some updating is done. Thank you!! 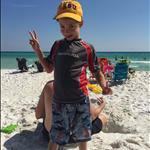 Hi Foote Family, we are so glad to hear that you enjoyed your beach vacation! We appreciate your suggestions and we will try our best to update the property during the off season. We would love to have you stay with us again! Thank you for choosing 360 Blue. We had a wonderful stay for a week in June and wished we could have stayed longer. This unit's location must be one of the best in the complex...it's right by the boardwalk to the beach and access to the large pool. It has underground parking and cage storage in the garage. We slept 6 adults and 4 kids with plenty of room. We look forward to coming back! Thank you for sharing your stay and experience with us Culpepper Family! We are happy you enjoyed the convenience of your unit! We would love to have you again in the future! 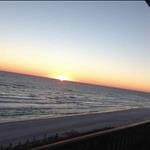 My husband and I get away every year about this time mostly we stay at Adagio . We have been staying there for over 10 years now, a lot of the time with our children and grandchildren. It is a perfect place for that. 360 blue properties helps make everything fabulous. Thank you for your kind words. We strive to make every guest's experience memorable. The stunning gulf front Adagio units provide comfort and convenience to local restaurants and shopping. We look forward to hosting your family again soon ~ thank you for choosing 360 Blue! Wishing you a Blessed and Happy New Year as well! Thank you for choosing 360 Blue for the holidays ~ we look forward to hosting your family again soon! We enjoyed the property and room tremendously! Very comfortable with all the amenities! Will definitely visit again, thanks. We look forward to your next visit with us, thank you! Wonderful time with perfect weather at the best beach in the world!! How precious! Thank you so much for choosing 360 Blue! Come back soon! Had a wonderful time at the adagio. Loved the condo and would definitely stay here again! Only complaint is the company that rents out the beach chairs. They took almost the entire beach in front of the adagio leaving those of us who prefer to bring our own chairs etc. very little room. 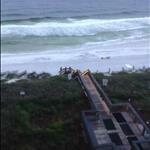 So, guests were scrambling to find a good spot on the beach early in the morning. Othe than that it was an AWESOME trip! Fun picture! 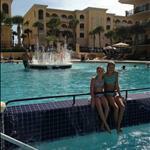 Glad you enjoyed your stay at Adagio! We're sorry the beach company was a minor inconvenience for you and your family. We've addressed this issue with the appropriate people so that this does not continue to be an issue for our guests. Thank you for the feedback and for choosing 360 Blue! What a perfect condo at Adagio! We have stayed at Adagio many times and this was by far our favorite! The view was awesome. Everyone at 360 Blue was friendly and helpful. We love the location with many resturants close by. We are ready to come back soon! Thank you! She looks ready to build a sandcastle!! We are glad you enjoyed your stay once again at Adagio! This condo definitely has some awesome views! Give us a call soon to reserve your next stay! Thank you!! Had a great time.very comfortable accommodation.Beautiful view with memories that will last forever. Absolutely breathtaking sunset! Thank you so much for sharing and staying with 360 Blue. We hope to have you back for another memorable visit! The condo was great. Loved the view. Plenty of space for our family to spread out and have some alone time if needed. Some little issues we were not expecting: internet access to sites like the apple store were blocked on the service. Had a few other sites that we were unable to access. Not sure if internet security was set too high or other problem. We were also expected more than basic cable on all the tvs. Only the master bedroom and living room had more than the very basic cable. Kids were disappointed since they like to watch tv while resting before bedtime. What an incredible sunset! Thank you so much for your valuable feedback. We will be looking into your suggestions and concerns as we strive to make every property accommodating for each and every guest. Hopefully you will be back next year! We had three families of four and we had plenty of room. We loved the kids room and extra bunk room....no blow up matresses needed. Great kitchen and refrigerator...fabulous balcony view. 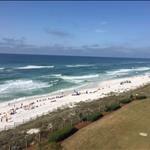 Overall wonderful condo and vacation! What gorgeous young ladies in a stunning setting. Thank you so much for choosing 360 Blue for your family vacation and for taking a moment to share your experience. We are so thrilled to hear that you enjoyed your stay and we hope you'll be back for more family beach adventures soon! I would rate my stay as very good, but shy of excellent. We stayed in B-405. Loved the size and overall feel of the condo. Beautiful view. Very spacious. Nice layout. Comfortably slept 8 of us with room to spare. My suggestions are minor, not major. The dining room chairs are a bit uncomfortable wicker. Get some cushions please. The microwave was quite loud & sounds like it's on the fritz. The AC went out briefly, but our service call was answered VERY quickly & the problem was resolved almost immediately. The 4 TV remotes for the great room TV were a bit difficult to figure out. Get a pizza cutter (again - minor, but important for a family vacay). Deck furniture may need refurbishing or updating. Overall a very enjoyable stay. Great for large group or family. Certainly not cheap, but it was ON the beach and worth it. I would recommend it to others. Love the photo! It's pretty much the perfect picture of summer family fun on the beach. Thank you so much for sharing! We appreciate your feedback. The property manager will discuss your suggestions with the home owner. We will also be sure to get a pizza cutter back in there and have our maintenance team inspect the microwave for any issues. We are so thrilled to hear that these minor inconveniences didn't stop you from having an enjoyable escape to the beach and we hope you'll be back soon! Well it doesn't get much better than that! It's true, a stay at Adagio is just about as good as it gets! You couldn't ask for a more beautiful and laid back environment to relax and leave all your worries behind. We can't wait to have you back for your next coastal retreat! P.S. LOVE your photo! We really like this location and we have enjoyed the roomy condo! What a cool shot! Thank you for sharing! This really is such a wonderful place to enjoy the area! Spacious and luxurious for sure! Hope to have you back soon! What an absolutely gorgeous place! From the beautiful furnishings to the breathtaking view, everything about it was perfect. Add comfortable furniture, an abundance of towels, dishes, and every possible amenity needed for a vacation.The only thing we had to bring were beach towels and beach chairs. The pools are great, the beach fabulous and we adore the area. We rented bikes and rode in both directions to find great shopping, dining, parks and quaint and distinctive little towns.Only complaint was the weather(cool and rainy) but obviously that is not the owner's fault! Would have loved to stay longer and hope to return! This truly is a stunning unit. We are so glad to hear that you enjoyed your stay and that it sounds like you had everything you needed for a fabulous and memorable escape to the beach. Bummer about the rainy whether, but at least you can still enjoy the view from this lovely unit rain or shine. Plus it sounds like you were still able to get out and explore a little. We hope you'll be back soon! We'd love to have you back and hopefully next stay will include a little extra sunshine just for you! What a beautiful condo! I really enjoyed the gulf view while drinking coffee on the balcony, reading a book on the sofa and even while cooking in the kitchen. It had everything we needed. It was a very quiet and relaxing vacation. Perfect! What a beautiful photo! Thank you so much for sharing! We like to think that everything is more enjoyable with a gulf view. We are so glad you enjoyed your stay at this stunning unit. Awesome place to stay. The view is priceless. Would love to stay there again. Pure luxury with everything at your fingertips. Thank you so much for this review...we strive to make this perfectly easy for all of our guest. Come back anytime....we promise to leave it just the way you found it the last time!